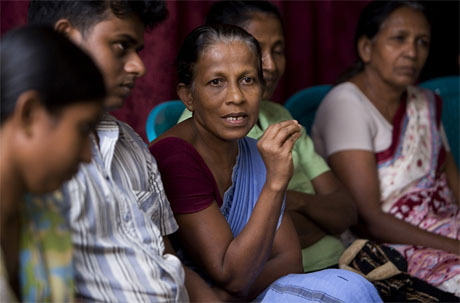 Our 2009 annual review illustrates the impact of our work with individuals and communities living in poverty and marginalised by their societies. We’ve worked with journalists and editors to help them investigate and report on the issues that affect the poor; and with policymakers, NGOs and others as we battle to expand the range of voices included in policy debates to promote change in policy outcomes. We have also brought articles about development issues written by journalists from developing countries to the European public – through our Linking southern journalists project, which provides original and insightful journalism to media in the UK, Poland, Sweden and Spain. Networked communications – we worked to ensure that the benefits of communication technologies were made available to all including developing a project using mobile phones to help meet the Millennium Development Goal of reducing child mortality. You can read full details about these, and other projects, in our 2009 annual review, which you can download in the right hand column. Panos London has nearly 25 years’ experience of increasing citizens’ participation, enabling better decision-making and working with the media to improve reporting on crucial issues. In 2009 we completed a new strategy which will run to 2015, the target date to achieve the Millennium Development Goals. This focuses our work on four core areas where we can further develop our existing expertise to make a significant impact: Voice, Dialogue, Media, and Information and Communication Technologies (ICTs, or what we call Networked Communications).